We are delighted to announce the launch of Cordell & Cordell’s first UK office. This is a momentous occasion for millions of fathers, dads, and husbands across the country. 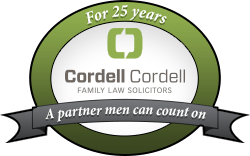 Cordell & Cordell specialises in men’s divorce and dads’ and fathers’ rights. Following on from our success in the United States, we have now branched out to the UK to ensure that men are fairly represented in the courts. Since 1990, men have selected Cordell & Cordell because of our passion for helping them in family law cases. The business has grown from a general law practice into a leading family law firm boasting over 100 offices across the United States, and we now have our first office in the UK. We have become one of the largest family law firms serving men in the world, with more than 170 divorce lawyers focused on men’s family law. Cordell & Cordell’s London branch is open for business from today, with more branches planned. Our solicitors have a thorough understanding of the family court system and the battle that men face. Don’t face this process alone; get in touch today. Don’t suffer in silence; Cordell & Cordell can offer a wealth of useful information and advice to help you through this difficult time in your life. Contact Cordell & Cordell for more information.